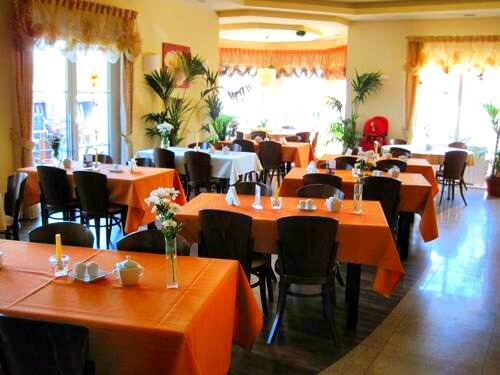 We offer a restaurant with about 60 seats in a pleasant ambience, a cozy café plus a large terrace for dining, a café terrace and a beer garden. Besides the café terrace is a playground where children can climb under parental supervision, slip and dig without disturbing the other guests. The terrace in front of the hotel is from morning to noon in the sun and you can enjoy your breakfast relaxing on the sun terrace, drinking coffee, eating ice cream or snacks for lunch and enjoy the fresh healthy sea air. To protect against the wind there are many beach chairs available on the terrace. You can dine in the restaurant or on the terrace a la carte. For this purpose, an extensive selection of quality wines is available. We carry an extensive ice cream menu and offer a wide range of high quality ice cream. Snacks, meals, drinks incl. special coffees are also available “to go” to take along to the beach. You also get delicious international (also non-alcoholic) cocktails and freshly squeezed fruit juices. 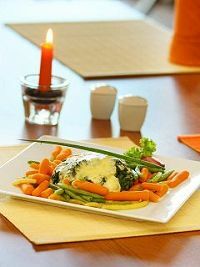 All dishes are prepared fresh and vitamin gently for you.